A couple of programs have ended this week and although I haven't mentioned them every week, I do enjoy them. The first is Sky 1's Mount Pleasant. 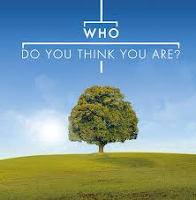 I've loved the series and can't wait for it to return for a second series in the new year. The second is Who Do You Think You Are. It's been another great series and I hope it returns for another. 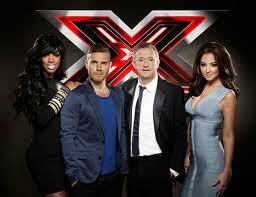 Week 3 of the X Factor. I made my predictions for the final three over on Marcie Steele's blog and was almost thwarted already when Frankie was in the bottom two. I wouldn't have been too gutted to be wrong if he had gone. I just don't get the fuss and it seems I'm not the only one. Although I still heart Russell, Jason's dance was my favourite dance this week. The six year old girl inside me is very happy that he's taking part in Strictly. Dan and Nancy were in the bottom two this week, with Dan leaving. It was a 5-way this week with Aaron, Faye, Jay, Anton and Aden all up for eviction. I wanted Anton to go but Aden will do. At least now we don't have to endure his sappy wailing over Rebeckah or his 'rapping'. Not a highlight, but wanted to mention the passing of Betty Driver, Coronation Street's Betty who was famous for her hot pots. 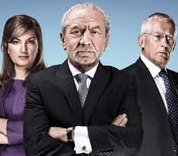 Junior Apprentice - or Young Apprentice as it seems to have been renamed this year - will return on Monday 24th October so looking forward to that. There's nothing quite like shouting at a bunch of school kids. Through the telly of course. They can't stab you that way.